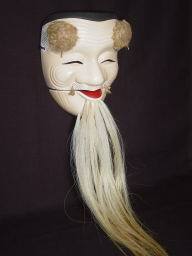 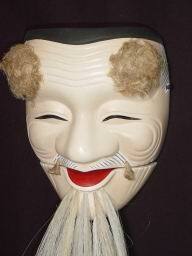 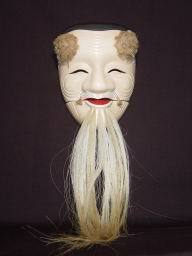 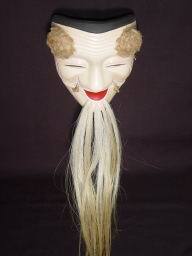 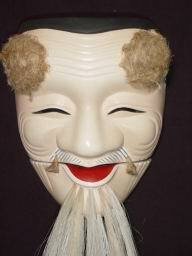 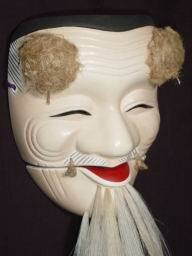 The mask is of an older male with long white beard expressing wisdom. 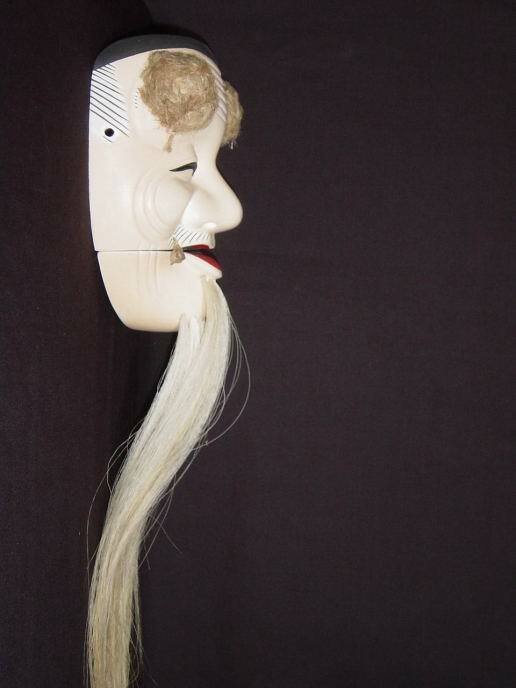 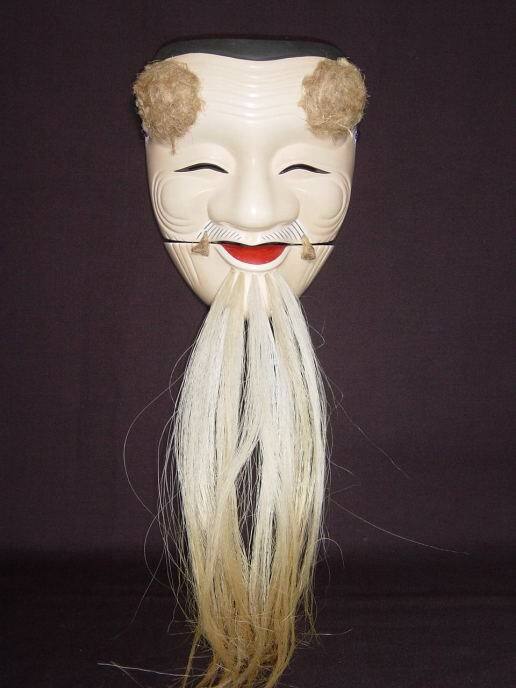 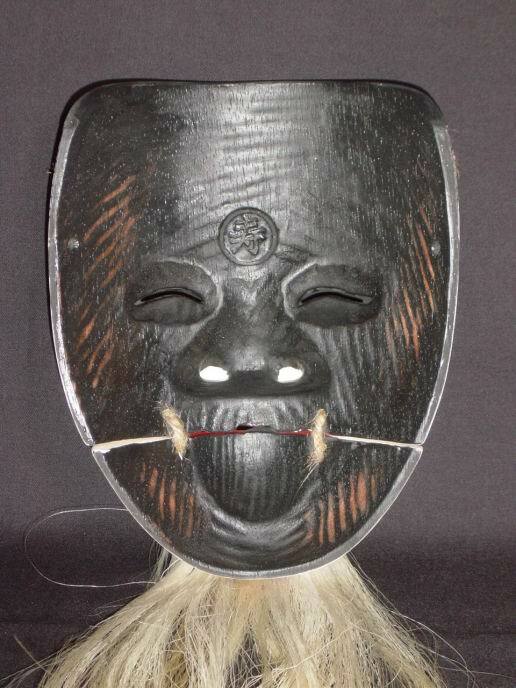 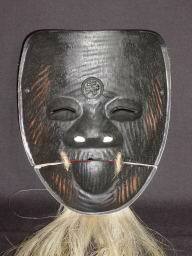 The Okina mask takes its origin from the traditional Genryu style of Noh play called "Danceof Monkeys" and it features movable jaw & eyebrows. There are two kinds, white and yellow. 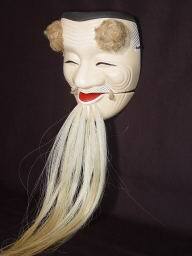 This is white one, called Hakushikijyo. Click the image for enlarge!